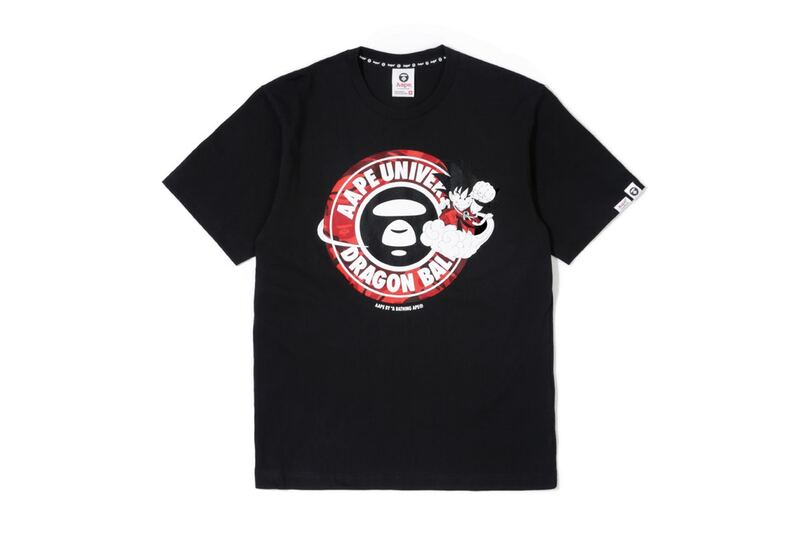 AAPE by A Bathing Ape unveiled its latest venture. 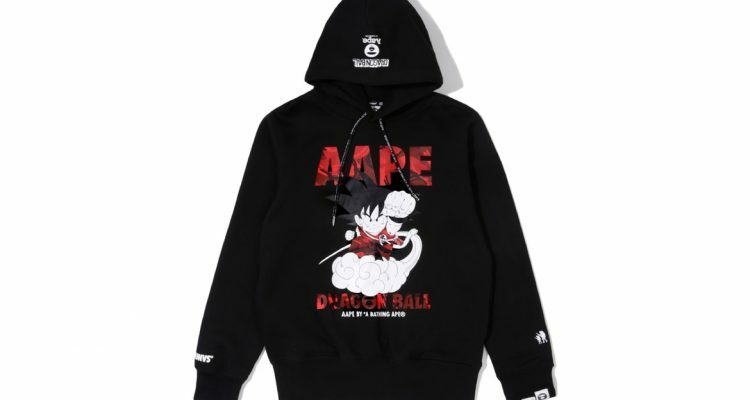 The brand teamed up with the popular anime to release a “Dragon Ball” collection. 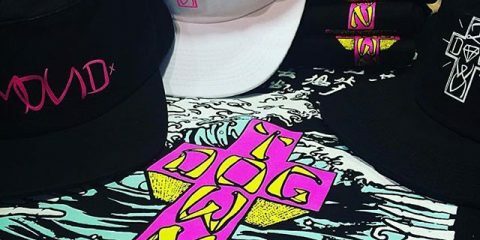 BAPE’s diffusion line recently opened its Fairfax, LA store. 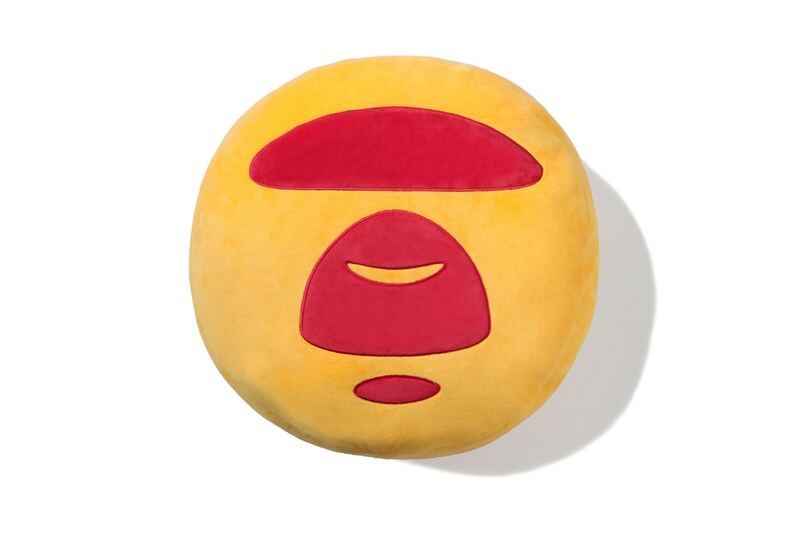 AAPE celebrated the opening with an exclusive capsule collection. It included hoodies, sweatpants, t-shirts and hats. Bags are also available. The pieces showcase the clothing line’s iconic ape face emblazoned against orange camouflage print. 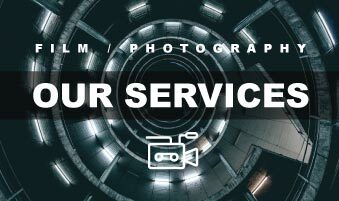 Certain pieces are in black and white tones. The words “Los Angeles” are also prominently featured in the items. 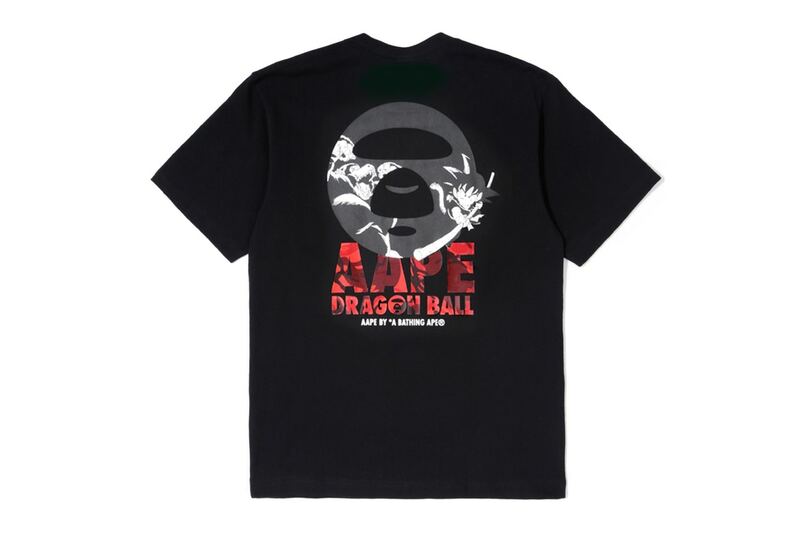 AAPE’s “Dragon Ball” collection features co-branded graphic t-shirts. 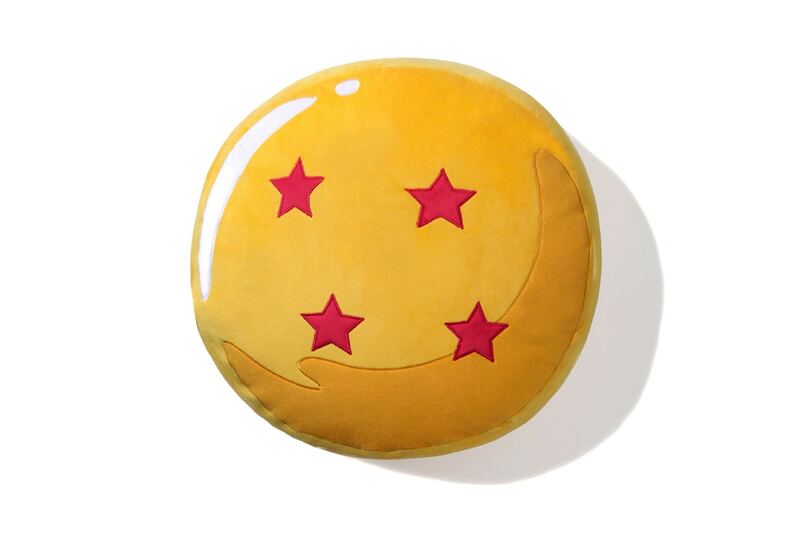 It also includes sweaters, kids wear, and a limited edition Four-Star “Dragon Ball” cushion. 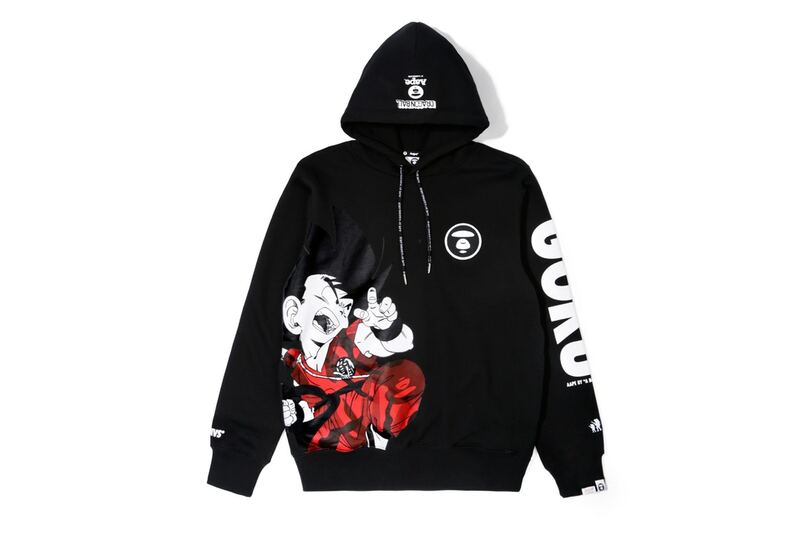 Moreover, one noteworthy design for the hoodies, long-sleeves, and tees feature Kid Goku weaving in and out of both labels’ branding. Plus, the pieces are highly-wearable because of their classic black and white color scheme with hints of red camo. 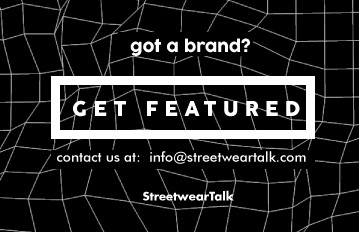 The collection is now available at select AAPE retailers. 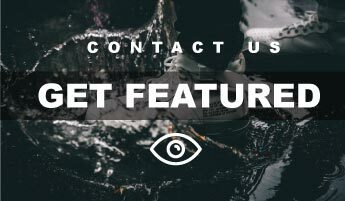 Stay tuned for more release updates. Meanwhile, AAPE and Baby Milo also released lanterns for the Mid-Autumn Festival earlier this month. 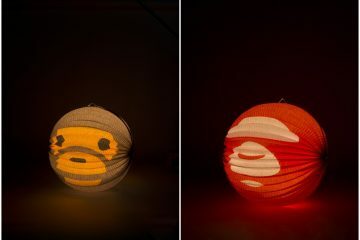 The limited edition lanterns feature the brand’s AAPE head and its Baby Milo character. Customers received one lantern for free upon any purchase. 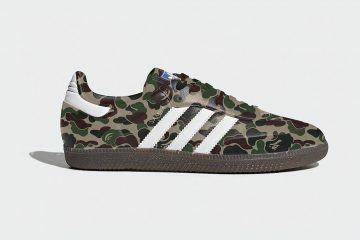 BAPE x Adidas Samba Collaboration In The Works?